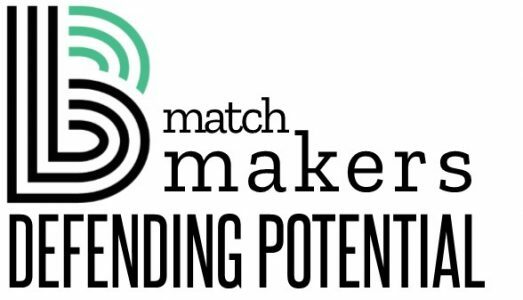 Match Makers is a monthly giving program that supports Big Brothers Big Sisters of Central Minnesota. Click here to easily set up a monthly gift with your credit or debit card! Why Should I Join Match Makers? Children in Central Minnesota need your help! Kids in our program face unique challenges like living in a single-parent home, residing in poverty, or struggling academically and/or socially. It’s proven that being matched with a mentor is life-changing! With YOUR support, these children are more likely to follow a positive path that leads them towards a brighter future. Find a Match! Your $10 monthly gift allows Big Brothers Big Sisters of Central Minnesota to find the children who need us the most and caring adult volunteers to create life-changing friendships. Make a Match! A $20 monthly gift helps to introduce a life-changing friendship! Your monthly giving allows Big Brothers Big Sisters of Central Minnesota to create a perfect match between a child in need and a caring adult volunteer. Grow a Match! Your $50 monthly gift helps to support a life-changing friendship! Your monthly giving allows Big Brothers Big Sisters of Central Minnesota to support a match between a child in need and a caring adult volunteer. “Bigs” and “Littles” that are matched for at least a year are more likely to do better in school, avoid drugs and alcohol and have a higher self-esteem. A monthly gift in any amount is deeply appreciated! Support the community - help create life-changing friendships! Your monthly giving allows Big Brothers Big Sisters of Central Minnesota to find, match and support kids in need with caring volunteers so we can develop more college grads, community leaders and entrepreneurs. These professionally created and supported friendships make a true impact in the lives of Bigs, Littles, families and the entire community! YOU can change the future for children in Central Minnesota! Click here to set up your monthly gift with your credit or debit card today! Electronic Funds Transfer (EFT) is all about convenience for you and consistency for the Big Brothers Big Sisters of Central Minnesota. Electronic giving helps you budget your giving through a monthly gift and we benefit from your consistent support. A gift through EFT reduces paper waste and postage costs allowing BBBSCM to be better stewards of our natural resources as well as better stewards of your gift. Contributions are transferred automatically from your checking or savings account to Big Brothers and Big Sisters of Central Minnesota’s bank account on a date of your choosing. Your bank statements give you an itemized list of electronic transfers. You will also receive an end of the year receipt after June 30. All you need is the EFT AUTHORIZATION FORM. Complete the form, sign and attach a voided check/savings deposit slip. Just drop it off at our office or mail it in.